With the base for the head done (in part 1), I was able to measure how big the mask should be. I sketched it out on some pattern paper. 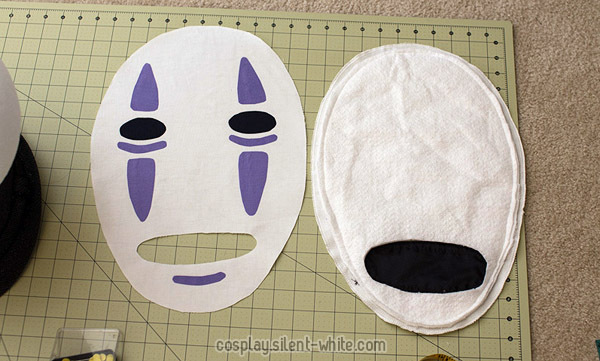 I decided to make the mask with fabric because it’d be light and easy to attach. I started with white Kona cotton and cut out an oval. 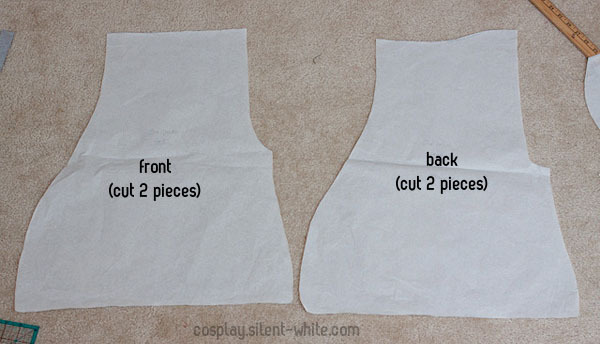 It’s interfaced in the back with light interfacing, then I cut out a hole at the bottom. The details on top are more fabric that’s been attached with iron-on adhesive. I didn’t want the stitches to show on the mask, so I made another one to go behind. I added batting to this one to make it puff out a bit, and this is also where I sewed the shear black fabric. I used 4 layers of the black fabric so that it looked black but was still see through. 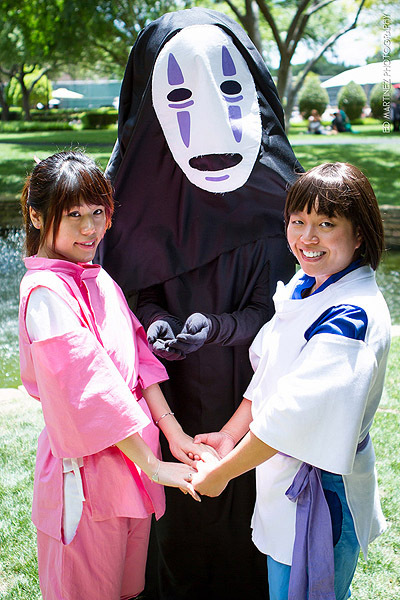 I finished No Face a couple months ago… but I’m just now getting around to writing about it XD;; This will be in a couple parts since I have many photos. Making the base for the mask took the longest! My friend Jack would be wearing No Face, and I wanted to make sure the costume was taller than his actual height. 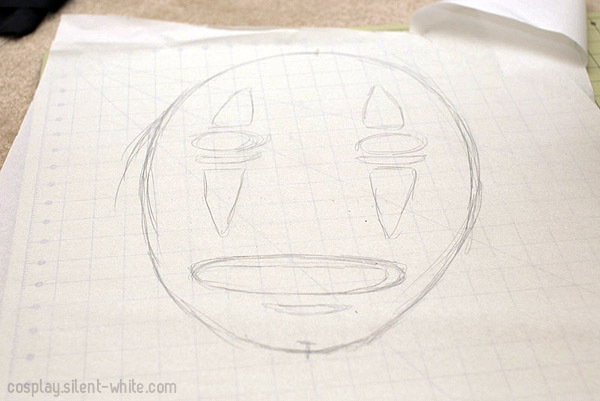 I decided that the part that looks like a mouth on No Face’s mask would be where Jack’s eyes were. Like Zulf’s skirt, I decided to sew together strips of fabric instead of using fabric paint. I just felt that it would look better, and I was more comfortable with it than painting. Though I wanted the whole thing in twill, I already had a bunch of quilter’s cotton in the pink color I needed, so I just went with that. It’s basically a pants pattern but with a really poofy bottom. The pattern shown does not include the waist band. 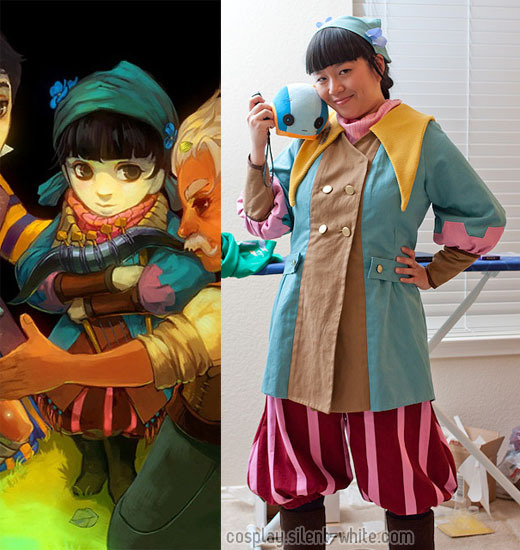 Note: I purposely made a lower crotch because it seemed to match with Zia’s artwork. However, I don’t recommend that now that I’ve worn it that way. It restricts movement and can easily rip if you try to move too much with your legs. I’m currently looking into altering them to have a normal crotch.